Harry Bertoia’s 1950 experiment with bending metal rods into practical art produced a revered collection of seating, including the exquisite Bertoia side chair. 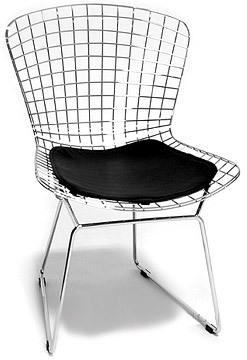 Bertoia’s side chair remains a fascinating study in bent metal and a fixture of mid-century design. This reproduction is true to the original in construction and form. Now you can own your own version of this sculptural classic that took its rightful place as one of the most recognized mid century seating icons over 50 years ago. Harry Bertoia’s 1950 experiment with bending metal rods into practical art produced a revered collection of seating, including the exquisite Bertoia side chair. Innovative, comfortable and strikingly handsome, the chair’s delicate appearance belies its strength and durability. A classic, modern design that enhances any environment, Bertoia’s side chair remains a fascinating study in bent metal and a fixture of mid-century design. The form is made of metal rods interconnected with leaving visible empty transparent space as he liked the idea of air flowing through the design. 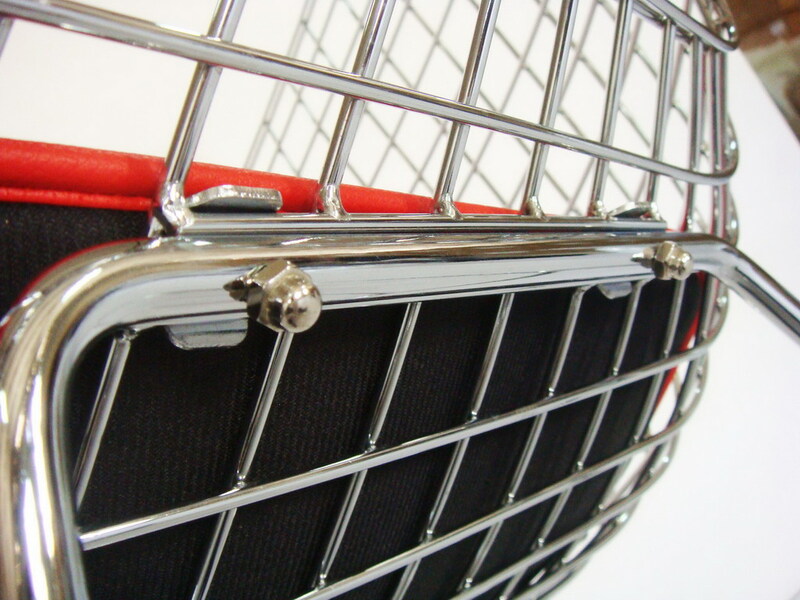 The original wire chair version was created in 1950. Charles Eames instigated a court case in which he claimed copyright to the original diamond chair design concept. The court eventually forced Harry to change his design. He had no choice but to get back to the design drawing board and with focused inspiration, he created the 1952 version of the chair we recognize today as the Diamond Chair. It was an instant triumph, leaving no doubt to both Charles Eames and those who knew him, that the real design inspiration for the open form wire chair belonged to Bertoia. It is doubtful that he realized at the time that his Diamond Chair would become mid-century modern icon for over a half a century. To this day, it is still regarded as one of the top chair designs in the history of modern furniture. A Google™ search indicates that one of the foremost sites for high end furniture at wholesale prices is Gibraltar. “This West coast internet pioneer features retro, modern, and post-modern furnishings at rock bottom prices. Gibraltar offers an exceptional array of wholesale, architectural, modern, high quality items at factory direct discount prices. Gibraltar Furniture is one of the leaders in the world of Internet modern architectural products. Gibraltar sells furniture manufactured in Italy, Asia, and the USA and all sales are tax free outside of California. Gibraltar Furniture is proud to be a #1 wholesaler for Ameico, modern classics, Barcelona, and huge selection in modern furnitures such as modern outdoor furniture, modern lighting, modern office furnitures, and much more. Browse our huge selection of modern furniture below. 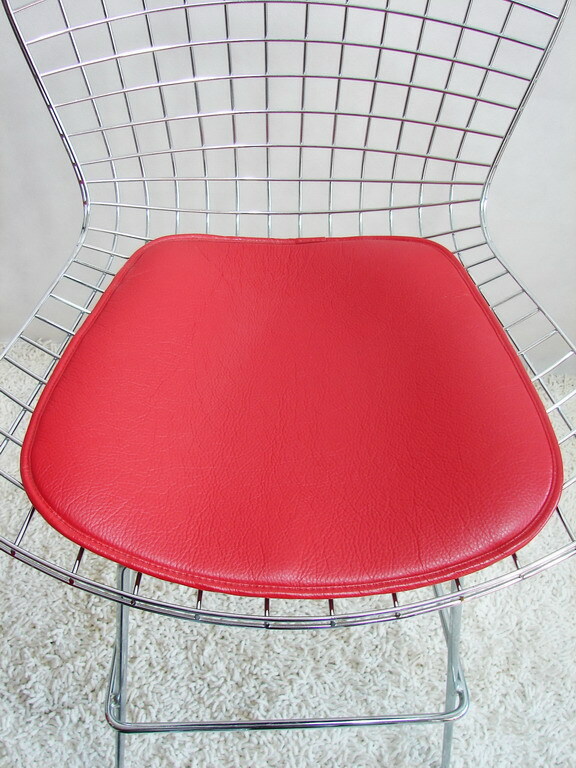 We have everything from premium designer executive chairs to green sustainable furniture. Gibraltar Furniture has been in business for 50 years. Yahoo News reports that Gibraltar Furniture has “The best prices, models, and service of any site on the Internet.”Yahoo News, click here. The nobility of Ludwig Mies van der Rohe and Lilly Reich’s famous Barcelona chair carries its cultural reverence to any environment in which it is placed. In the world of interior design, the Barcelona Chair epitomizes functional modern art. In the world of architecture, the Barcelona Chair is a masterpiece made by the master of the modern architectural movement. The form and function of the design elements in the Barcelona Chair require quality material and craftsmanship to convey the genuine spirit, nobility, and cultural significance of this elite furnishing. Shoddy workmanship nullifies the Barcelona’s intellectual and cultural impact, and speaks poorly to its surroundings. Only the finest replicas that exude the purism of the Barcelona chair should be displayed. 1) The smooth stainless steel frame should be flawless. Mies intentionally redesigned his 1929 design in 1950 with the advent of stainless steel to use one smooth piece of stainless steel. This is critical to maintain the integrity of the Barcelona Chair’s modular design. There should be no braces at the welding joints and no seams. 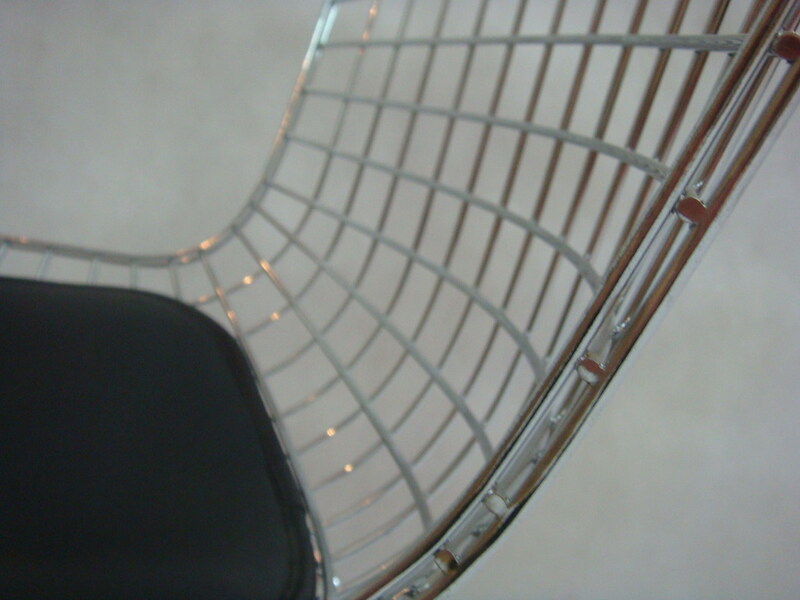 2) The stainless steel is recommended to be “austenitic chromium-nickel alloys” of series 301, 302, 303, 304, 309, 316, or 321 for Barcelona Chairs. 304 and 316 are the most common grades. 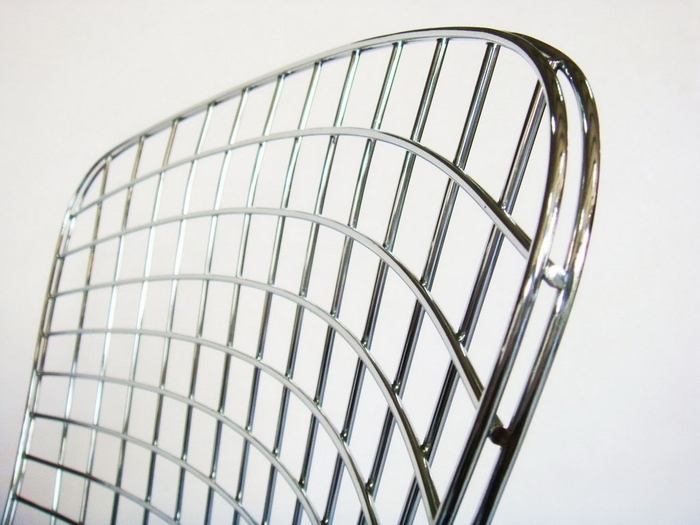 For Barcelona Chairs, the 400, 500, and 600 series of stainless steel are not true to the original, partially due to the “over-durability,” however higher grades of steel are often used in replicas. 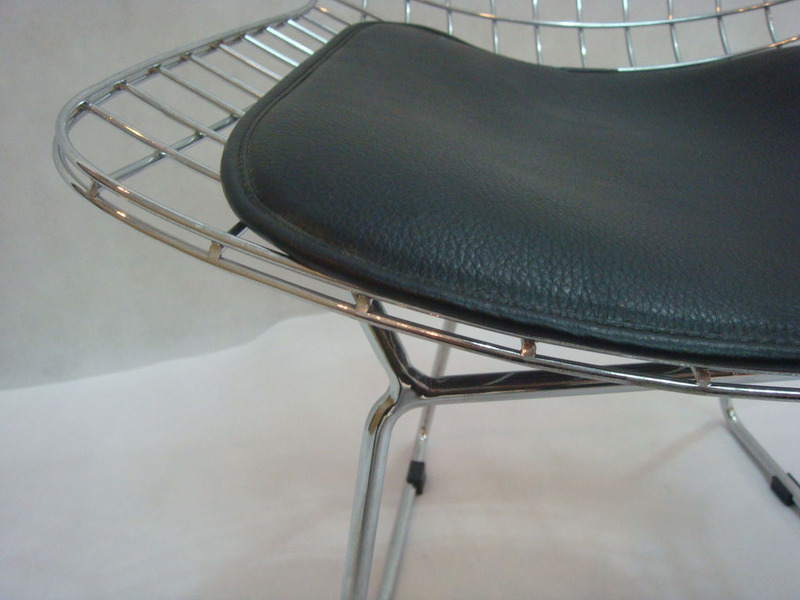 The stainless steel from the 200 Series of “austenitic chromium-nickel-manganese alloys” is ideal for chroming and technical specifications of the Barcelona Chair, but it is not ideal in high humidities. 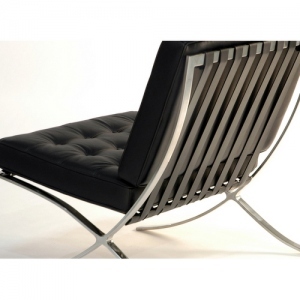 The Barcelona Chair may also come in Chrome, but the stainless steel has a higher resistency to corrosion. 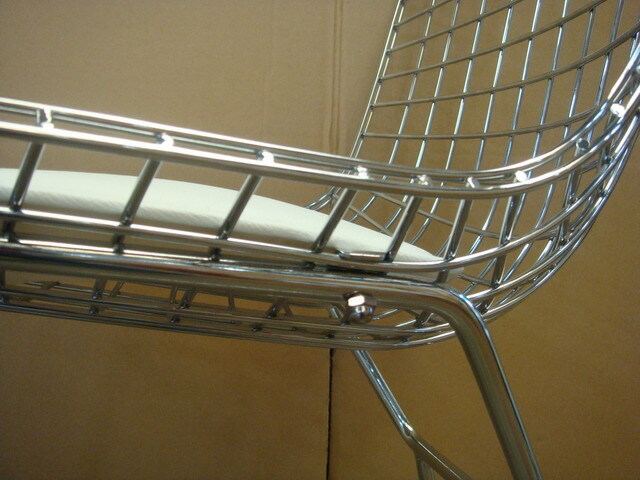 3) The polish of the stainless steel is one of the distinctive elements of the Barcelona chair. The stainless steel finish should only by No. 7, a reflective finish, or No. 8, a mirror finish. 4) The upholstery should be cowhide, a high quality Italian leather is a good choice. The Knoll patented version of the Barcelona Chair uses an untreated top grain bovine leather, however the porousness gives it the unfortunate ability to stain easily. (More precisely, Knoll’s patented Barcelona Chair uses “1.1 mm thick, grain corrected Spinneybeck Volo leather.”) Full grain leather will age well, and top grain is the most durable on the market today. Your choice should be based on quality and the environment in which the chair is used. The untreated full grain leather may not be a practical choice in a business lobby or a home where there is much entertaining. 5) The foam density may vary per country, but should be between 30 and 36 kgs per cubic meter for the Barcelona feel. Of course, personal comfort is the most important consideration. Ideally, this should be resilient urethane foam with a Dacron polyester fiberfill. Attention should be paid to fire safety certification requirements for your area. 7) The Barcelona Chair has forty tufted panels. Hand-tufted is preferred. 8) The leather-covered buttons should be hollow metal, with a top and bottom. 9) Rope should be used for piping, but hemp and cotton are acceptable. Plastic piping does not bespeak high quality. 10) The cushions should not be oversized or overlapping the frame. After all, Mies is the father of the cliché “less is more.” The cushion should meld seamlessly with the curve of the frame. A true Barcelona Style Chair will not have seams on the outside corners. On the Gibraltar Furniture edition each square of leather is hand selected, piped, tufted and individually sewn by expert leather craftsmen. The cushion is suspended upon a network of leather saddle straps fixed to a solid oak frame. Polished stainless steel legs add to the timeless modern design. A bolster pillow stretches across the width of the daybed and is secured in place by straps. Truly, a wonderful place to rest and relax. Gibraltar offers an exceptional array of wholesale, architectural, modern, high quality items at factory direct discount prices. Gibraltar Furniture is one of the leaders in the world of Internet modern architectural products. Gibraltar sells furniture manufactured in Italy, Asia, and the USA and all sales are tax free outside of California. Buying a Barcelona Chair for your home or business is certainly no easy task. Evaluating your Barcelona Chair using these ten design and material elements as guidelines will help ensure that your Barcelona Chair purchase will be of the highest quality, and truest to the forms of modern design that Mies and Lilly inspired decades ago. A Google™ search indicates that one of the foremost sites for high end furniture at wholesale prices is Gibraltar. “This West coast internet pioneer features retro, modern, and post-modern furnishings at rock bottom prices. We pride ourselves on producing world class products including the iconic Barcelona chair. • The piping, buttons, back of the chair are usually constructed of Pleather, the result is a product that falls apart just after 3-6 months. • Straps are constructed with flimsy PU leather. • The corners of all sides are sewn individually, this is the easiest way to spot a cheap reproduction. We stop at nothing to make sure that our Mies van der Rohe Barcelona products are true to form. Each of our designs are exactly like the originals at a fraction of the Knoll price! All of the world class leather that use on this piece is 100% European luxury grade material. Each high quality stainless steel frame is also imported to insure that you get only the very best resources that money can buy. Only the best Italian leather is used to construct this masterpiece! We ship factory direct so that you don’t have to pay a middle man for a mark up. This means you get the wholesale price and a great product at an unbeatable price! Multiple colors and grades of premium full top grain Italian leather are available for your design requirements. Each square of leather is hand selected, piped, tufted and individually sewn by expert leather craftsmen. The cushion is suspended upon a network of leather saddle straps fixed to a solid oak frame. Polished stainless steel legs add to the timeless modern design. A bolster pillow stretches across the width of the daybed and is secured in place by straps. Truly, a wonderful place to rest and relax. My mother raised me to tell the truth, the whole truth, and nothing but the truth. 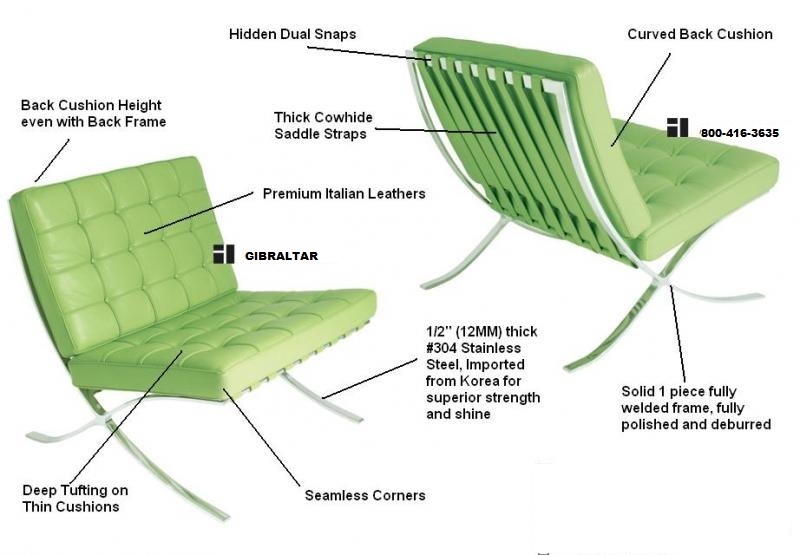 Consequently, I am about to bare the naked truth re the LC1 Cassina branded chair vs. the reproduction that Gibraltar furniture offers for $495. We often get asked how our LC1 classic chair compares to the original design by iconic furniture provider Cassina. For pure museum quality you can do no better than selecting the Italian manufacture. However, many buyers would prefer getting a reproduction and saving thousands of dollars on the same purchase. Therefore we offer this same piece, in the same style, dimensions, and construction techniques which would cost $1,955.00 – $2,025.00 via Cassina. What are the benefits of selecting from Cassina? • The production number which serves to place the item in the chronology of production, and tallys with the “Identity Card” (which bears the same number). This shows that a final quality check has been carried out, and allows the Heirs’ control. What does all of this really mean? 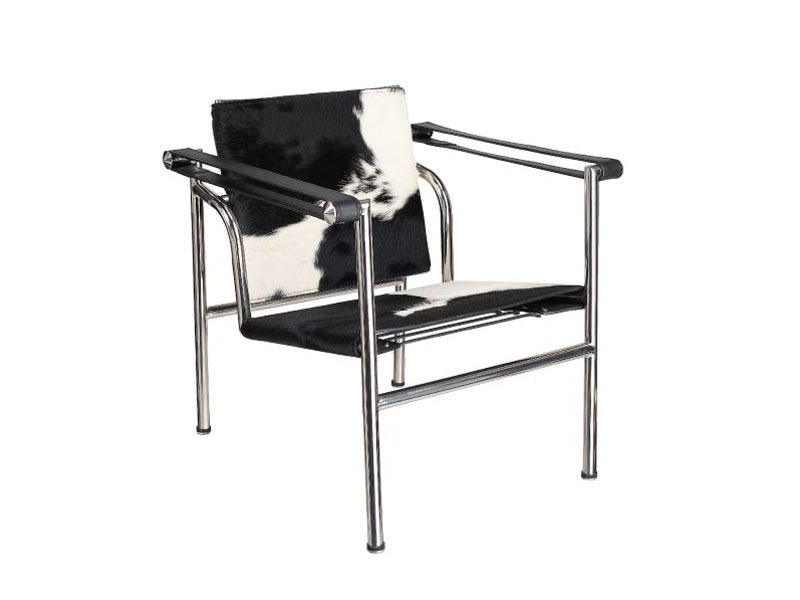 If you are looking for a numbered editionLC1 chair Cassina is the only way to go. However be aware that you will not be receiving a limited edition product. Instead, your Cassina chair will be just be a sequential serial number product with a stamped number on the frame. Therefore, this creates no intrinsic value as you will never be able to get the same money back for your purchase for modern used furniture. Established in 1927, Cassina has been designing the future for over eighty years. During the 50’s the company, founded in Meda (Milan) by Cesare and Umberto Cassina, launched industrial design in Italy. In the rich and complex turmoil of that era, it was pioneering in the way it encouraged architects and designers to envision fresh designs and most of all translate their inspirations into reality. Taking a completely new approach, which saw a shift from hand craftsmanship to serial production, the company began to work side by side with designers. Since then, Cassina has shown a striking inclination for research and the ability to spark mulch-participant dialogues between the most talented designers of both the 20th and 21st centuries, including architects and designers with quite diverse sensibilities, styles and creative spirits. The result: a mesh of stimulating ideas, from which Cassina always draws the best. This transversal culture of absolute quality defines the uniqueness of each Cassina piece. The Gibraltar release is also a extremely high end architectural art piece. It is manufactured to the exact original specification using imported Italian aniline leather. In 1922, French architect Le Corbusier began working in the new rue de Sèvres, Paris, atelier with his cousin Pierre Jeanneret with whom he shared research plans and design inspiration in a profound and life-long professional relationship. In October 1927, the duo agreed to draw on the contribution of a young architect who had already begun to establish a reputation on the architectural scene of the time: Charlotte Perriand. 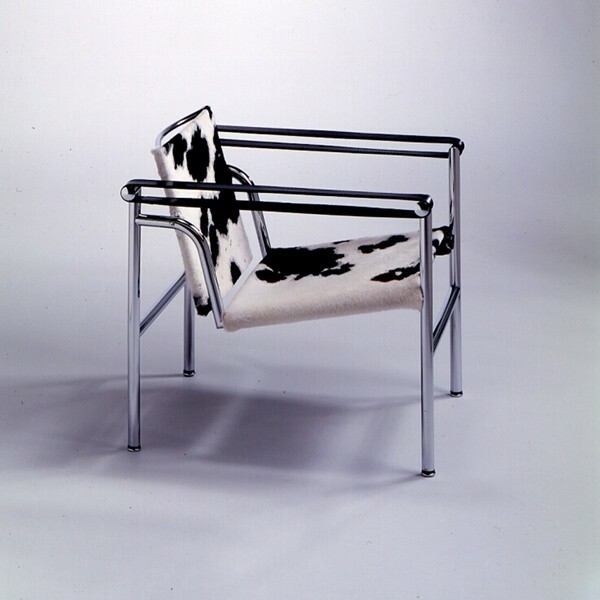 Their collaboration lasted through to 1937 and was extremely productive, particularly in the furniture design arena. The partnership was highly significant, both in terms of the cultural weight of their accolades and their professional successes. It was together with Charlotte Perriand that the team tackled the innovative project for “l’équipement d’intérieur de l’habitation”. The resulting designs were of great intellectual value and considerable commercial success. When you purchase from Cassina you are also paying full price for Cassina’s license of the design from the Le Corbusier estate. This exclusive once enabled Cassina to be the only official provider. But you can also purchase an exact copy from Gibraltar without having to pay a kings ransom. Therefore we recommend Cassina again if you have deep enough pockets to pay the piper. Or you can go with Gibraltar if you want an exact LC1 clone without any numbers or signatures. It is the same piece without the branding! A Google™ search indicates that one of the foremost sites for high end furniture, at wholesale prices, is Gibraltar. “This West coast internet pioneer features retro, modern, and post-modern furnishings at rock bottom prices. Gibraltar offers an exceptional array of wholesale, architectural, modern, high quality items at factory direct discount prices. Gibraltar Furniture is one of the leaders in the world of Internet modern architectural products. Gibraltar sells furniture manufactured in Italy, Asia, and the USA and all sales are tax free outside of California. 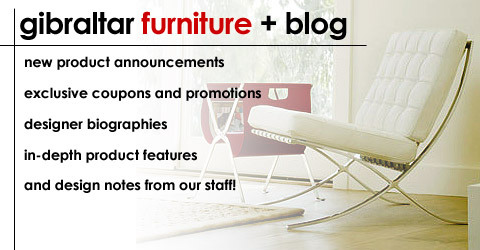 Gibraltar Furniture (800 416 3635) is discount furniture nirvana! Below you will find a checklist of every detail to make sure that your source is providing you with accurate, high quality, furniture based on the original Ludwig Mies van der Rohe configurations. These are the points to examine for to determine if you are getting cheap junk or a museum worthy piece. 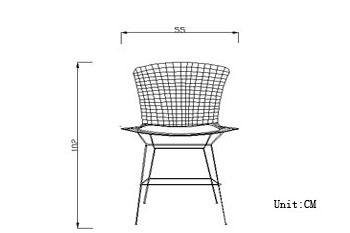 In fact the main difference between our higher priced competitors and us is that the official Knoll release comes with a certificate of authenticity and our copy does not. DWR sells the Barcelona Day bead for $9,454! Are you interested in checking the authenticity of your next Barcelona loveseat? purchase. Perhaps you are confused re the proliferation of different Barcelona chairs, Barcelona benches, Barcelona sofas, and Barcelona day beds on the Internet?